If you've popped into Hobby Lobby lately I'm sure you've noticed that their home decor selection has drastically improved. I'm constantly finding new things that I love in there. 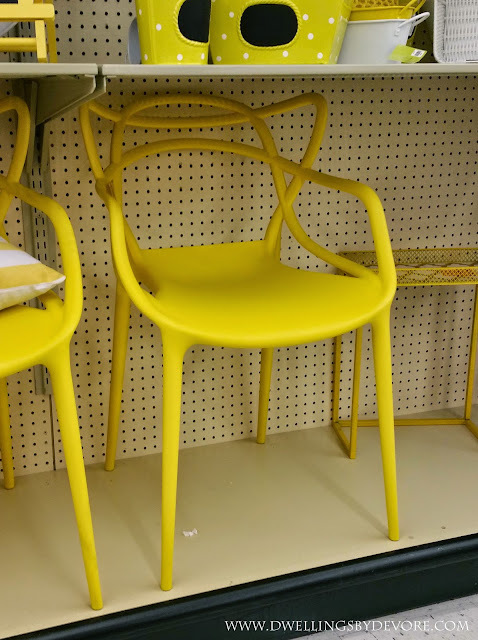 I snapped a picture of these chairs the other day because I loved the shape of them. 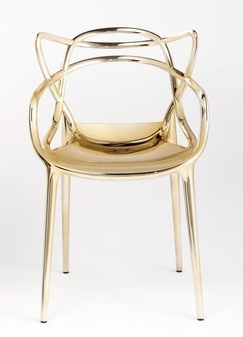 A few days later I came across this pretty chair from Ambiente Direct for a mere $474. I couldn't believe how similar the gold chairs were to the Hobby Lobby version. Grab a can of gold spray paint and you can have a nearly identical version for a small fraction of the cost!